A new group editor has been appointed to head up a regional daily and its sister weeklies. Newsquest North Wales has announced Susan Perry’s promotion to the role, which sees her take overall responsibility for titles including Wrexham and Flintshire daily The Leader. The newspapers under her charge were taken over by Newsquest after its purchase of NWN Media in September 2017. Last month, editorial director Barrie Jones stepped down after seven years in the position and 32 years with NWN. 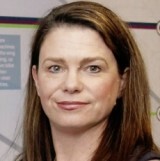 Susan, pictured, has held the position of associate editor at NWN since 2013. Other titles in the former NWN stable include the Chester Standard, South Wirral Standard, Oswestry & Border Counties Advertizer, Rhyl Journal, Powys County Times, Denbighshire Free Press, Whitchurch Herald, North Wales Pioneer and North Wales Chronicle. Susan began her career as a junior reporter on the Advertizer before rising to the rank of chief reporter. From there she moved to the County Times, in Welshpool, as deputy editor, before being appointed editor of the Advertizer in 2002. She later added the Herald to her portfolio. Doesn’t anyone at any of the big companies ever check their press releases before rushing them off to HTFP? That comment doesn’t make sense. If they can’t get that right what hope is there for their actual stories? Groups editors are like margarine. Their bosses like them spread very thinly. It shows. Well said, but the comment seems semi-literate rather than nonsensical. “Effect on” is presumably intended to mean ‘affect’ or ‘impact on'; “up to the minute” needs hyphenation; and the sentence is missing a few commas. Ideally, it should have been checked before release, but the onus is partly on HTFP to have corrected it – assuming the statement is reproduced verbatim without errors having been committed by HTFP. ‘Impact on’ – that’s horrible! Might have expected a higher standard from someone nominally in charge of copy. Reading the latest news from this group I can see why this lady looks less than thrilled in her photograph at her promotion.